Digital Family Vol. 6 is the sixth round of the notorious Digital Diamonds compilation series carefully selected by label heads Alic. Once again we received an outstanding collection of unreleased tracks starting with the label’s main artists Trilingo, Ben Rama, Point, Simmetune, and of course Alic, as well as some fresh upstarts like Bratenschneider, L.T., and Code Therapy. Jitter and Fredrik Astevall, also known as Krumelur, complete the high-end selection of the finest psychedelic techno! MP3 Download | FLAC Download | WAV Download · Download count: 23,696. Fantastic compilation, great work ! Thanks to Digital Diamonds, all the artists and to Ektoplazm. The work you do and give to people for free is amazing. Great album, this is the stuff that Im looking for on this web – minimal techno with psy touch. Best track: Bratenschneider – Universal Control. Keep on truckin’!!! Awesome Compilation! Big Ups Thanks a Lot! I appreciate the big effort from our Digital Diamonds friends to deliver hi quality music for us. Great job! 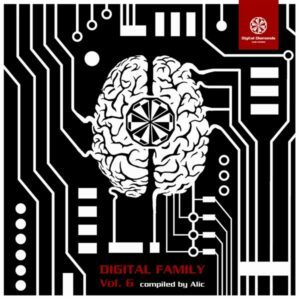 Digital Family Vol. 5 ended up being my favorite compilation from last year, helped me through some tough times. Thanks for the new release as well, based on the first few listens, I definitely like it. Great comp. – ill Journey! Killer track by Jitter, as expected. thaks for this great and full power compi! great work guys !!! This is a f*cking awesome compilation! Congrats to all artists and thanx a lot!